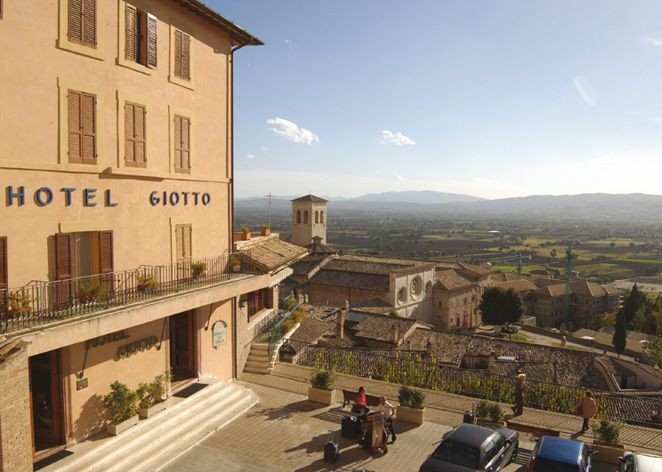 Since 1899, the hotel Giotto, historical hotel of Assisi, offers its services to the tourists which come from all over the world to visit this wonderful town. .
Because of its wonderful position overlooking the Umbrian Valley, form its balconies and terraces and from the most part of the rooms you can enjoy an enchanting view, and a breathtaking sunset. 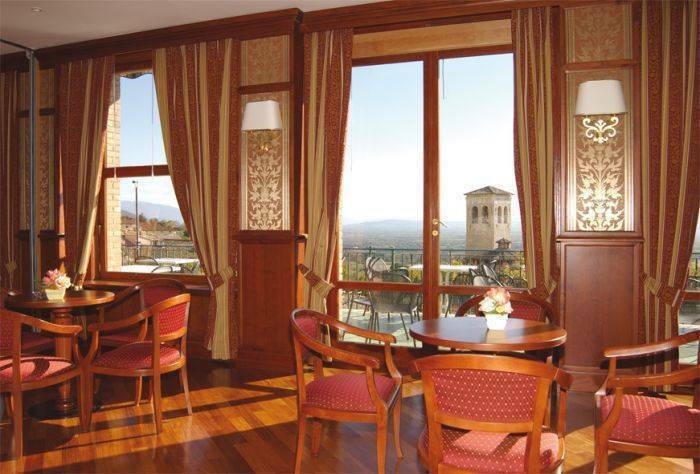 The restaurant perfectly involved in the Assisi atmosphere, with its medieval vaults, offers revisited regional recipes in the respect of the the Umbrian tradition, and an high quality international cuisine. 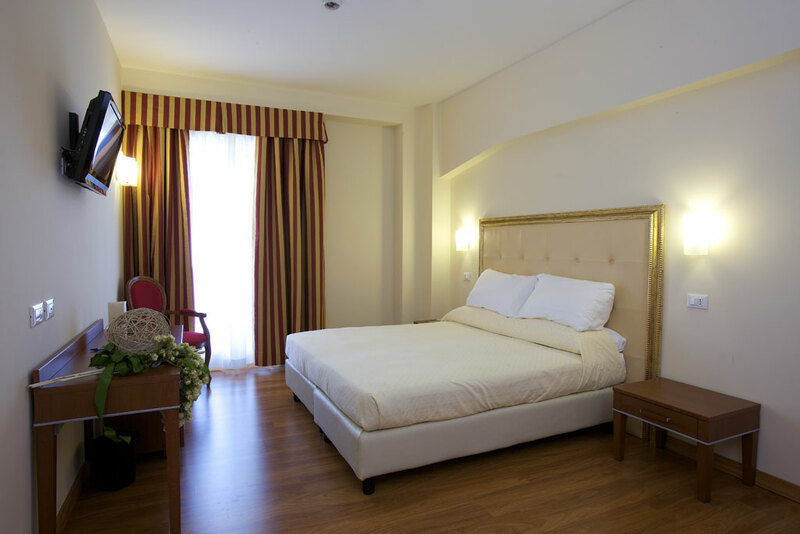 Our rooms, just restored, blend elegance with modern comfort. Air-conditionned, with satellite TV, and frigobar. High Speed Internet available. 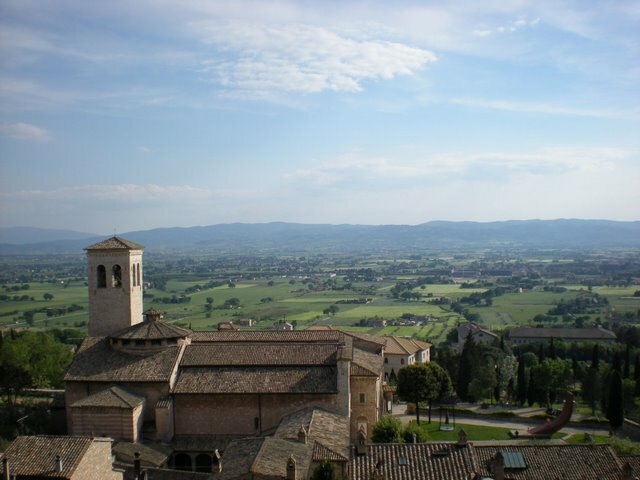 In the heart of Umbria, halfway up the slopes of Mount Subasio, lies Assisi. A town remarkably rich in priceless art treasures, its medieval character has been maintained and can still be discovered in the narrow streets and squares. it has been added to Unesco's World Heritage List in 2000. Elegant restuaarant, under 13th century vaults . "Genuine Umbrian cooking enlivened with a hint of international cuisine." 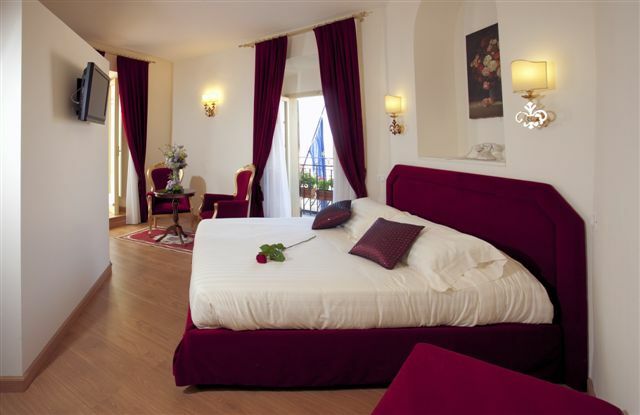 In the historical centre, 300 metres from the basilica of Saint Francis. 5 Km from the train station, where you can easily take a bus (nearest bus stop is San Pietro) or a taxi.